THE FINE ART DINER: What Does 'Piss Christ' Mean & Why Is It Important? 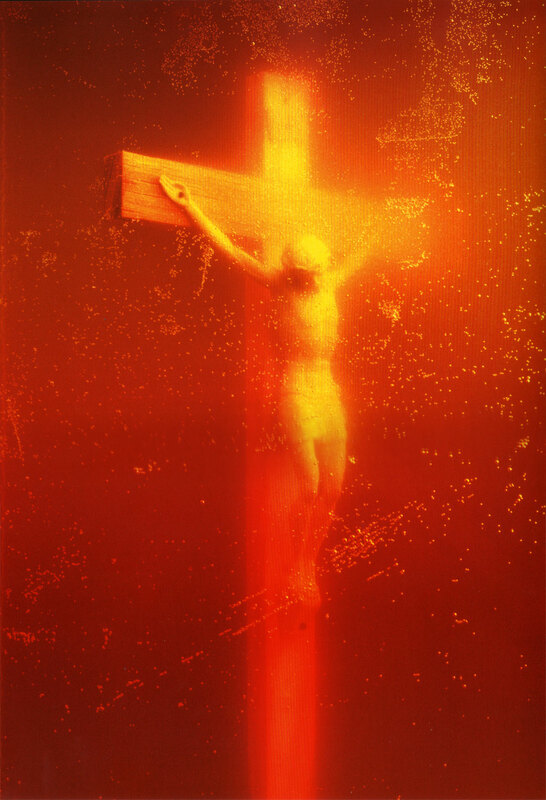 Piss Christ by Andres Serrano, photograph, 1987. 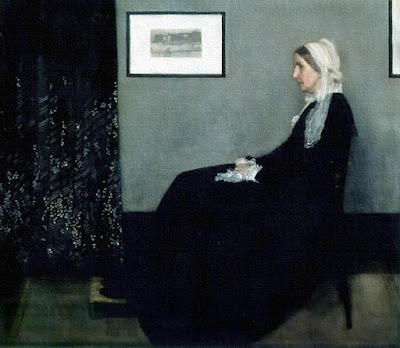 It is perhaps the most controversial work of art in America. My mother has gotten upset, as it's been in the news again, and asked me to write about it and its significance, if it has any. Of course it does, and I think it's a very important work of art. I say this as a Christian, someone continuously trying to live up to the teachings and commands of Jesus Christ, because, I have to be honest with you, when I look at Andres Serrano's Piss Christ, I see what I do to the Cross every time I sin. Photograph 60 x 40 inch Cibachrome print on display now at Edward Tyler Nahem Gallery, Manhattan. Because the art was funded by the National Endowment for the Arts, it is often cited as a reason why government funding should not be used to support "degenerate" artists. This is up to each person's individual will, however, I hope to demonstrate how we can have a meaningful engagement with the art and not be offended by it, at least, not the way Christians have been heretofore. Serrano takes photographs, so what you see above is what is on display (should you decide to go see it). It is described as being a plastic Crucifix in a jar/bottle of the artist's urine and, by some, as being "the most deplorable, despicable display of vulgarity " produced by an American artist. Why? The initial reaction of people such as my dear mother, is that disrespect is being shown to the Cross and the image of Jesus Christ. It is absolutely possible that Mr. Serrano intended only to create a sensational piece to infuriate Christians, but as Christians, does the piece contain a message which we should be in tune with, and, instead of being controversial, Piss Christ becomes instructional? Please click on the image to expand to full size. The rich color scheme is well created for such a piece. Whereas gold/yellow usually symbolizes royalty and dignity--which should be applied to Jesus Christ, the King of Kings--instead, it's the reflection of yellow urine stripping Him of dignity instead of investing Him with dignity (our recognition of Him as our King and Savior by making sacrifices and denying temptations and sins). There is quite a bit of red in the image, especially along the bottom portion of the Cross, because red can symbolize love--we willingly shed our blood when we love someone--or wrath, and we get so angry at someone, we could shed their blood over it. Christ made His Sacrifice for us out of Love, but Serrano seems to be mildly suggesting that, when we sin, we are actually in a state of wrath; why would that be? Because we have to sacrifice instead of taking, we have to become one with Christ on the Cross instead of staying in our comfort zones (and please know, I am fully aware of how I myself fail in this every hour of every day). We are, in other words, full of wrath when we sin, to the point of "taking life" from Christ by our sin (we can't take God's life, but we take the Life of God given to us--Grace--when we sin). Lastly, please note the brown tones in the top and bottom portions. "Learn from Me for I am meek and humble of heart," Christ told us; brown is the color of humility, for one makes their self low as the dirt in the eyes of the world; there is another side to the symbol of brown, however, and that is, literally, filth: instead of righteously being lowly and humble, we debase ourselves in our appetites and roll in the filth of sin. So Piss Christ is the exact opposite of a Christ Enthroned painting, this is, rather, a very personal depiction of Calvary that we have created on the private stage of our sins. The purpose of the Cross, and Christ's Suffering, was to redeem us from our sins, to pay the price that we could not. What is it that transforms the Wood of the Cross (invoking the wood of Noah's Ark which saved the righteous from the flood waters of the world) into the cheap plastic cross of today's culture? When we ourselves cheapen the price Christ paid for our sins, because we, as Christians, know what that price was and, instead of worshipping the Cross, we steep Our Savior in the filth of our sins, again and again. Whereas we have been cleansed of sin through Baptism, "urine"--as an anti-thesis to the symbol of spiritual cleansing--is the willingness we have to wallow in the ways of the world instead of following the narrow path which we profess to believe and hold as True. Piss Christ isn't a work about Jesus, rather, it's a work about Jesus' followers, me and you, and Serrano calls to our mind an important lesson we tend to (easily) forget. If I chose sin over Christ, then I have "pissed on Christ," and I have transformed the wood of the Cross into the throw-away, cheap plastic of a world condemned by its own appetites and I have knowingly rejected the Path of Salvation and chosen the path of damnation, hell over heaven. Piss Christ is my doing, no one else's, and I have to take responsibility before God every second of my life and at the Hour of Judgement, however, therein is the irony of the piece and the inherent victory it contains! Sometimes Christians see Jesus on a Cross and think, He died for everyone, but not necessarily for myself. What Serrano has done is shown us how Christ died and continues to suffer for my sins, the "piss" I drown his image in when I have sinned and not just a nameless mass of people, but for the individual children He lovingly created, knowing we would sin; so why create us if we were just going to sin, or at least, why not create us perfect so we wouldn't sin at all? Because to forgive is divine. Nothing shows someone you love them more than when you forgive them, and when we go to Our Father, confess our sins, and ask Him to Forgive us, we gain more in that act of humility and trust than what we lost when we sinned (this is never a license to sin, it's an encouragement to overcome our weakness prompting us to sin). In spite of what I have done in sinning--I and I alone in the abuse of my free will to chose sin over God's Love for me--Jesus is there, patient and waiting for me to come and ask His Forgiveness, even while "drowning" in the filth of whatever it was I did, and I know He will Forgive Me and restore me to Grace; Serrano provides for us a graphic image, a singular image for each follower of Christ, of how the King of Kings takes the filth of my individual sins and wears them Himself so I might become clean and enter His Kingdom of Heaven. This image, so despised by the media and most Christians, is a triumph of Love and God's devotion to us His Children, and testifies to how He willingly endures His Sorrowful Passion for each of us every moment of our lives. Piss Christ provides an excellent example of how art means to engage us with a mirror of ourselves; rarely will it show us what we want to see, but it will always show us something if we meet it on its terms and try listening to what it has to say, the message, the secret door into our own soul that will open if we give it the chance. Ultimately, Piss Christ is a triumph of Love for Christians, because it reminds us so graphically (as Mel Gibson's The Passion Of the Christ did) the Love that Jesus has which caused Him to Suffer and continues to Suffer for our sins so we can be cleansed, so, in this sense, we can call it a graphic message of Divine Mercy that Jesus really love us, really wants us to be forgiven for our sins and lovingly wants us to overcome our sins. Likewise, it shows us--which we all need to know--what sin is, the no-nonsense, graphic reality of what we do to ourselves and our Lord every time we commit the smallest sin. We should not be upset with Christians getting upset with Piss Christ, Christianity is so attacked in our culture and no one defends it, that the desecrating image of Our Lord troubles their heart, however, Jesus is willing to suffer this--as He suffered on the Cross--if it means saving us from our sins.